If you're looking for some new games to keep the kids busy this summer holiday then you've got to check out Orchard Toys. They've recently released some lovely new additions to their collection and the kids have been sent one to test out. Here's a little bit about Orchard Toys for those of you not familiar with the brand: "Orchard Toys started out around a kitchen table making blocks and stencils for a local nursery school. Now, over 40 years later, we ship to over 50 different countries around the world and are recognised as a leading manufacturer of educational games and puzzles both in the UK and globally. We are proud of our British roots, and still design, produce and pack all our products from the market town of Wymondham in Norfolk. With a reputation for quality and durability, we pride ourselves on creating products that can withstand the wear and tear of little hands, whether this be at home, in a childcare setting or in schools." 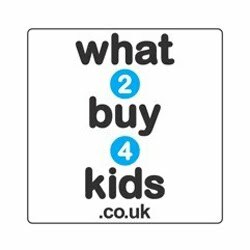 As you can see Orchard Toys are a super British brand who care a lot about their products and the children that use them. 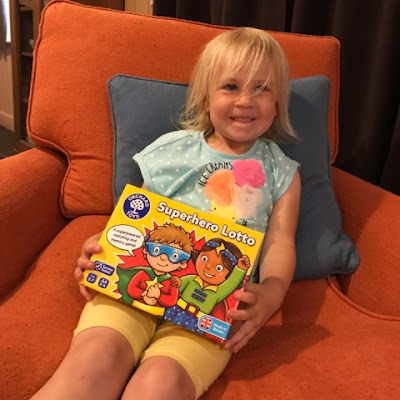 They kindly sent Logan and Harlow their brand new Superhero Lotto game to review so here's what we thought. First thoughts from myself are the excellent colourful inclusive packging the game comes in. 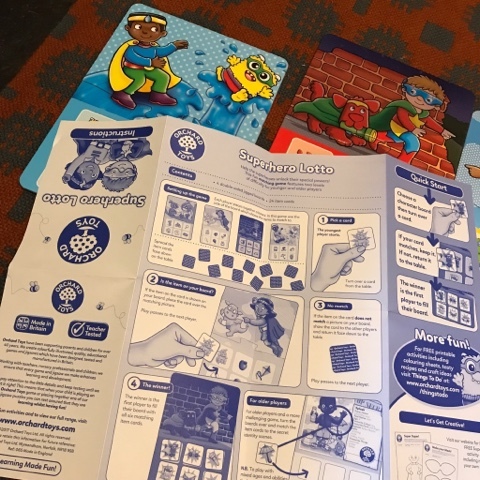 It's a sturdy box with a boy and a girl superhero on the front and lots of helpful snippets on information and pictures on the back. A quick scan over the box from my 8 year old and he knew how to play this game right away. The 3 year old can't read yet but after explaining the rules and how to play she got stuck right in. As the name suggests the game is a fun superhero matching game which features two levels of difficulty for younger and older players. Perfect for my two with their big age gap. There's 4 superhero boards, 24 item cards and 1 instruction leaflet included in the box. 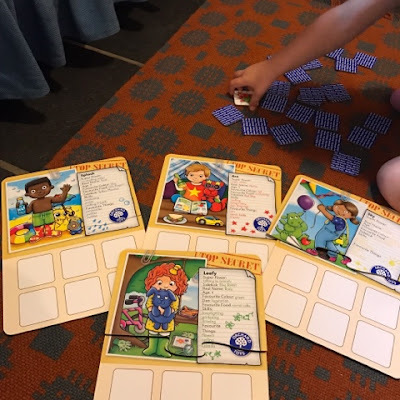 To play you simply click the superhero boards together, choose if you want the easy or the harder side to play, spread out the item cards face down on the floor and you're ready to begin. Each player then takes it in turn to select an item card, turn it over and see if that item matches anything on their superhero board. For the easy side of the board it has the 6 items all pictured for you. On the harder side it has a photo and a list of stats at the top and 6 blank item spaces so you've to use your brain to work out what items go with which superhero. Great for working that grey matter. This game is suitable for ages 3-7 and for 2-4 players. 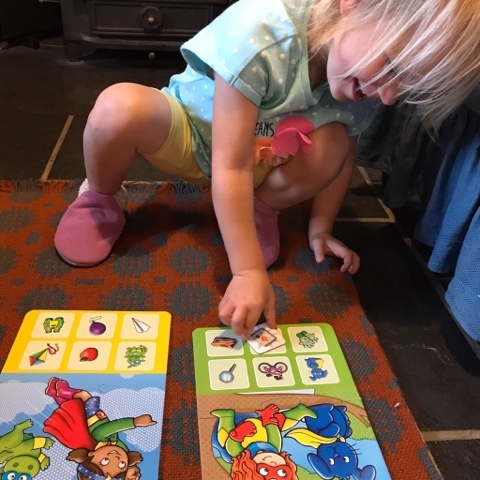 It's great for developing matching and memory skills, encouraging observational skills and helps to promote discussion. Children really do learn through play and Orchard Toys games are so good at helping that learning. We really do love their games and have a stash of them in our house. 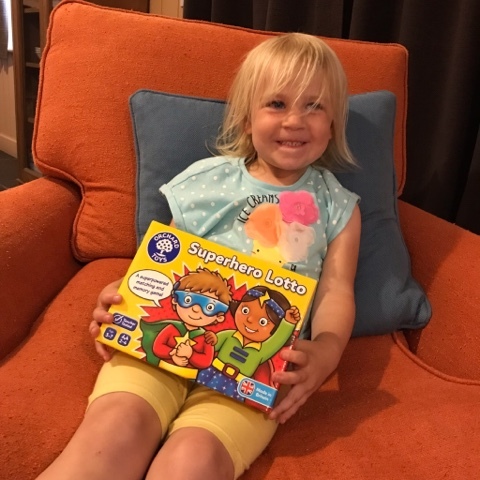 Both Logan and Harlow really enjoyed the Superhero Lotto matching game. With Logan being that bit older he found it quite easy but still loved to play and Harlow really enjoyed finding all the items and matching them to her board. She was even feeling generous and helping me to fill up my board when we were playing together, how kind. Superhero Lotto retails for £7.75 and I'd highly recommend for all those superhero lovers out there. It's bright, colourful and perfect for little hands to play. It's compact as well so makes for an excellent travel game. We recently took it on holiday with us up North to keep the kids busy. 6 comments on "Review: Orchard Toys Superhero Lotto"
I'v never heard of this but we love board games! We'll have to check this one out. We have so many of these and I can’t recommended them enough. Great for beginners. We LOVE orchard toys! Never had this one though it looks fantastic.